Pico Canyon oil works at the back of Pico Canyon, the valley between the PCO and CSO hills. According to local oil historian Stan Walker, the view is to the south. 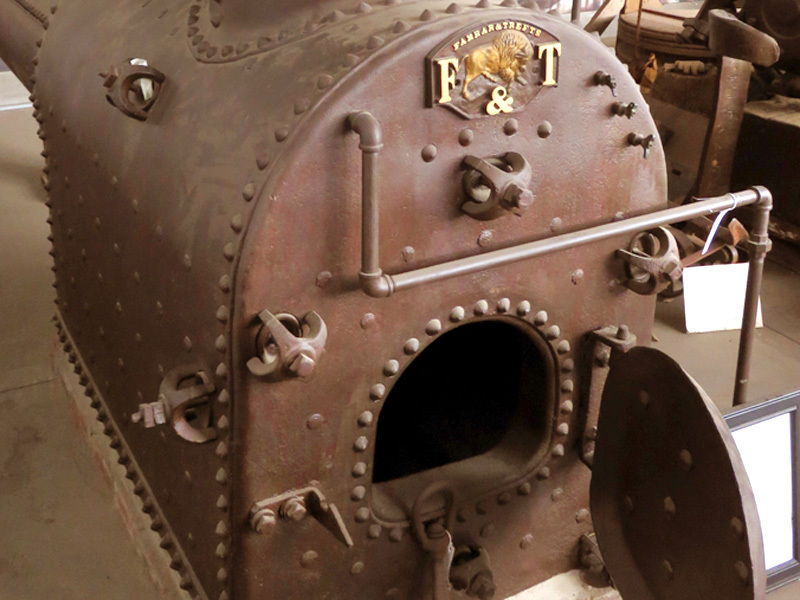 "The first derrick in the foreground is Pico No. 5, then further up the creek is Pico No. 4 (with the pinched-in derrick top). The machine shop is just past No. 4, and then Pico No. 1 is in the distance at left. PCO Hill is on the left and CSO Hill is on the right." 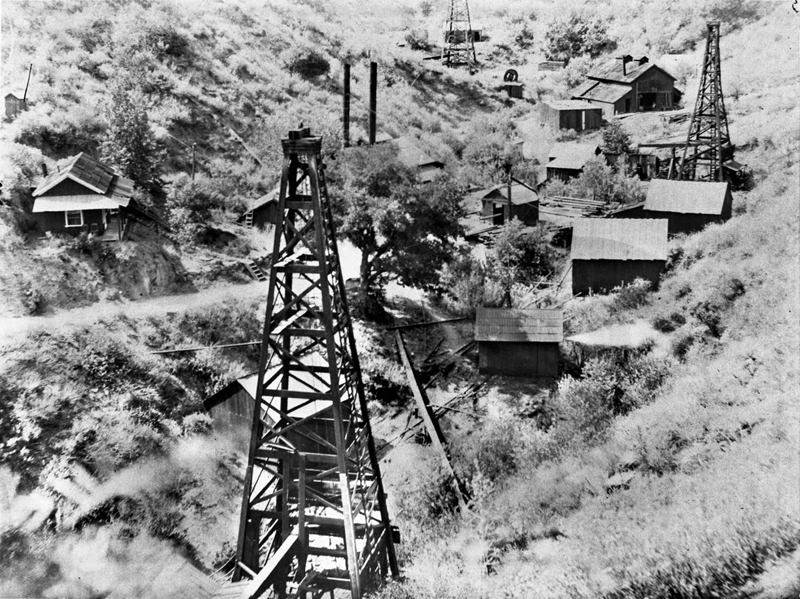 California Historical Society file information reads: "Photograph of California's first commercially successful oil wells in Newhall's Pico Canyon, ca.1885. The tall wooden towers of three oil wells are visible, including one in the foreground, one in the upper right corner and one in the background near the top on the image. The towers are in the bottom of the canyon, the walls of which are densely covered in small bushes. There are several wooden buildings visible, including one in the upper right corner that resembles a barn. There is a dirt path on the side of a hill on the left side of the image that leads to the bottom of the canyon. ; The three wells were started in 1876 by Alexander Mentry, Jd.C. Scott, and J.G. Baher. 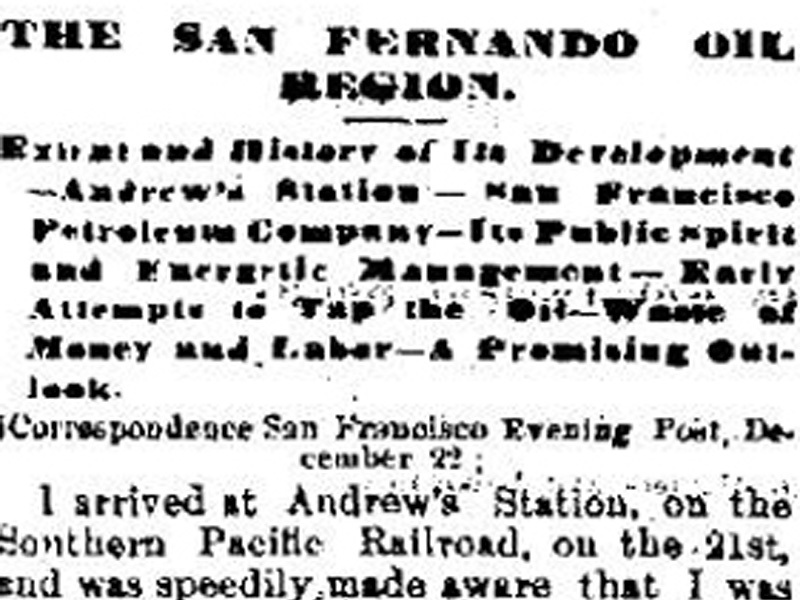 The company was known as the Star Oil Works Co., and the name was later changed to California Star Oil Works Co. F.B. Scofield bought up controlling interest." The Pico Ghost Camp by Arthur B. Perkins, 1962. The Story of Mentryville by Leon Worden, 1996 ff. LW2498: 19200 dpi jpeg from California Historical Society collection in the USC Digital Archive.